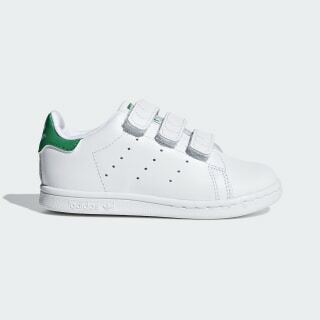 These infant shoes introduce the Stan Smith sneaker legend to the next generation of fashion trailblazers. This pair has the same smooth leather upper as the original tennis shoe. 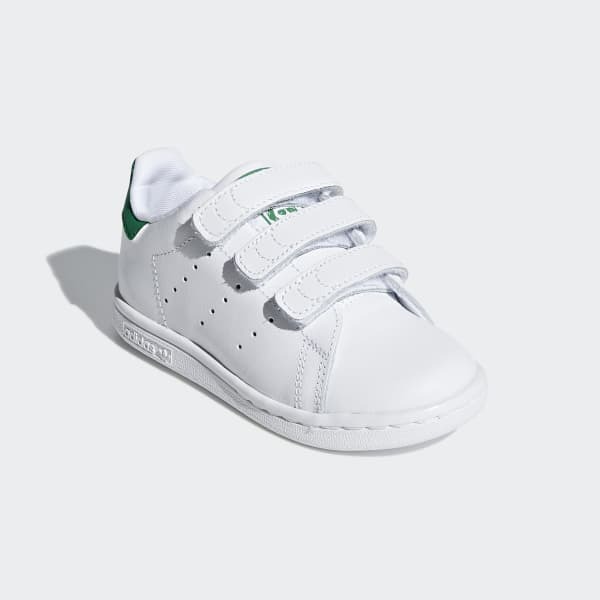 A mesh-terry lining adds comfort for little feet. Easy strap closures provide a snug fit.